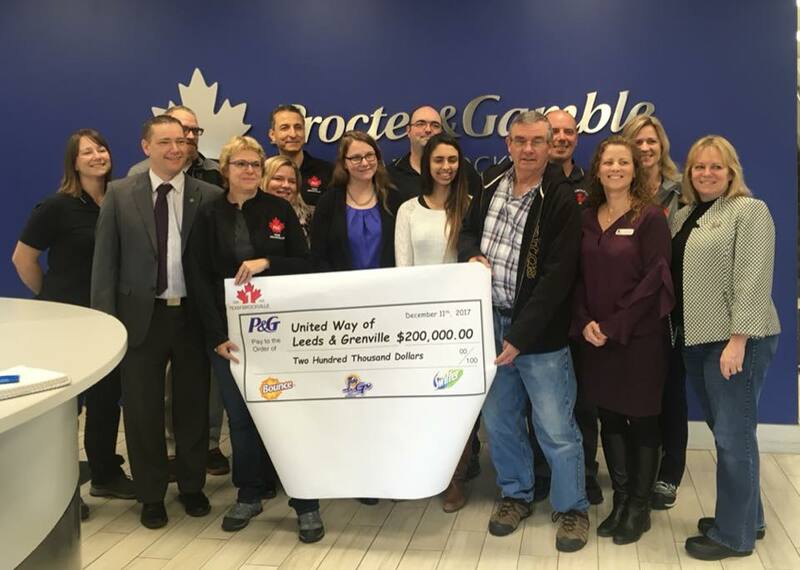 Thank you to the employees of Procter & Gamble Brockville for your kind generosity to the United Way Leeds & Grenville and our community! P&G Plant Manager Mutazz Akour and Team Brockville presented a cheque for $100,000 to UWLG Board Chair Tammy Sokolowski, Cabinet Member Darren Gallacher and Executive Director Trish Buote. A total of $200,000 was donated to the 2017 fundraising campaign.